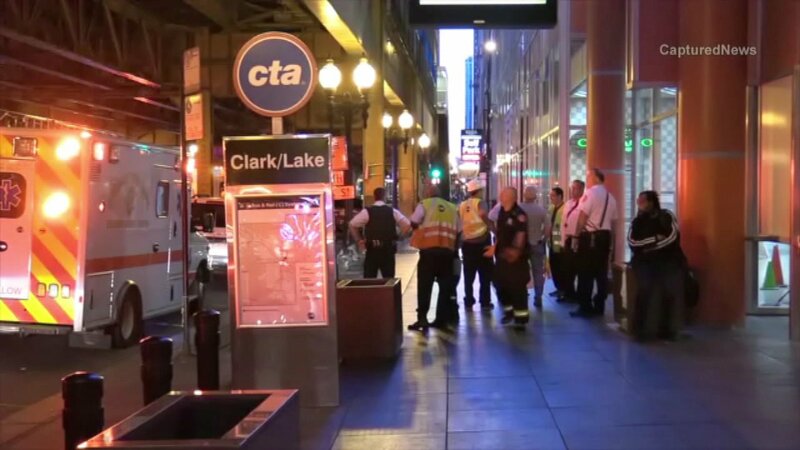 CHICAGO (WLS) -- A 36-year-old Chicago man died early Saturday after falling on the tracks at the CTA Blue Line's Clark/Lake stop in the Loop. The man was identified as Jose Delgado, of the Noble Square neighborhood, according to the Cook County Medical Examiner's Office. The incident occurred at about 4:30 a.m.
Delgado was intoxicated when he fell on the third rail, police said. He was rushed to Northwestern Memorial Hospital in critical condition where he later died.